This process is so exhilarating and results in extremely one of a kind pieces! 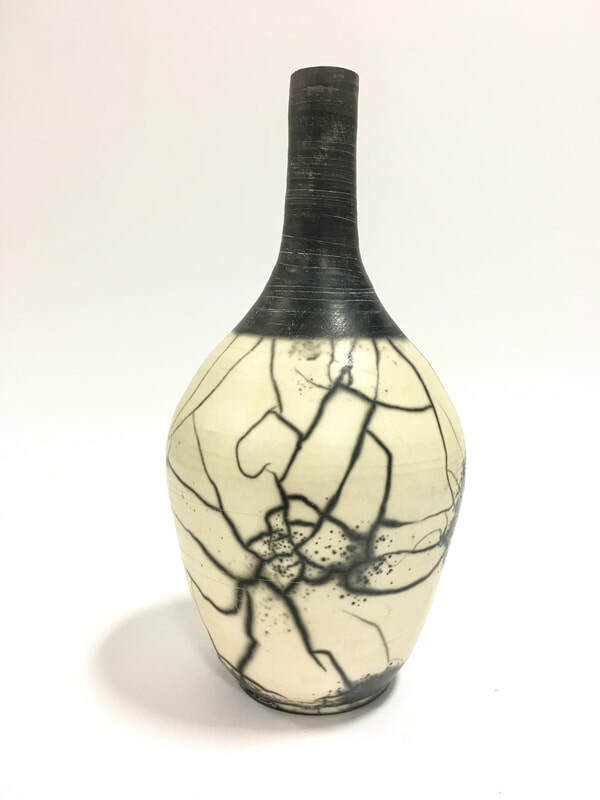 I traveled to Athens, Greece in the summer of 2017 to learn from Thodoris Galigalidis (@galigalidis_art) and Marilena Michopoulou (@michopouloumarilena). I discovered him via instagram and planned a trip to take his naked raku workshop and learn all that I could to feel confident bringing it back home and recreating the same techniques. 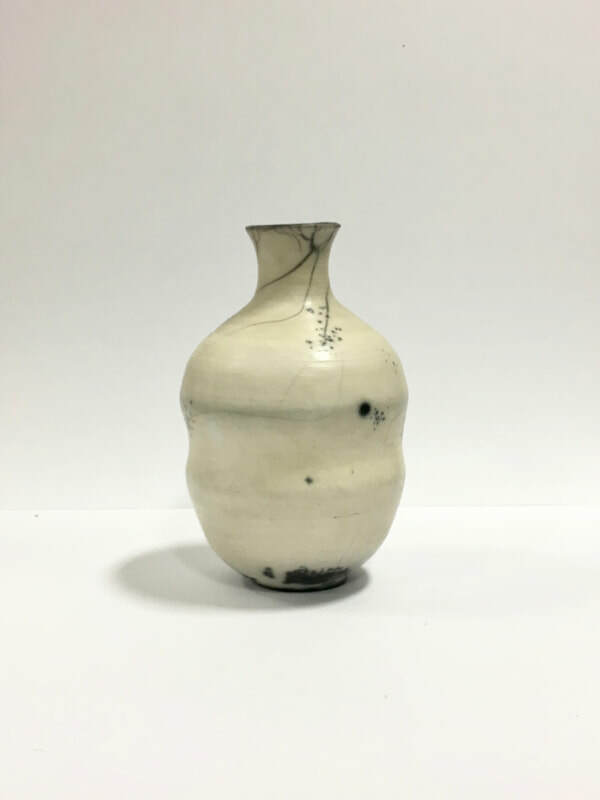 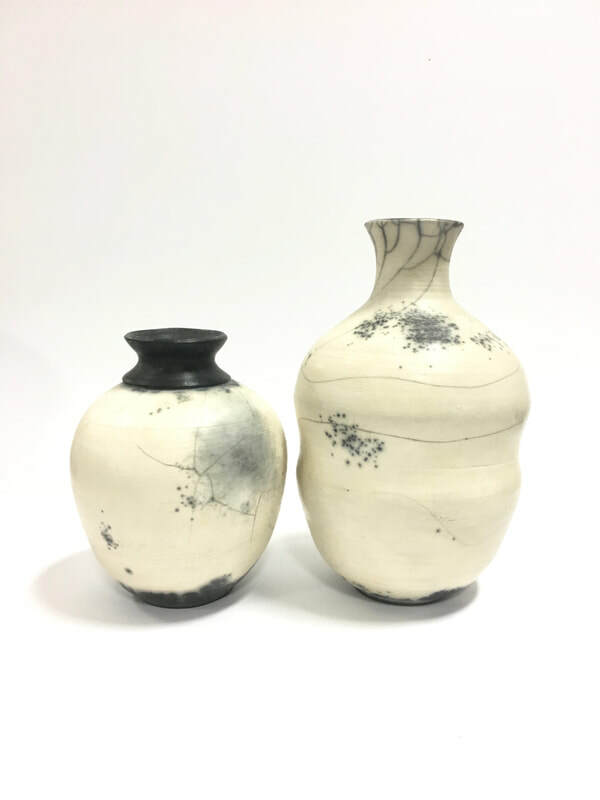 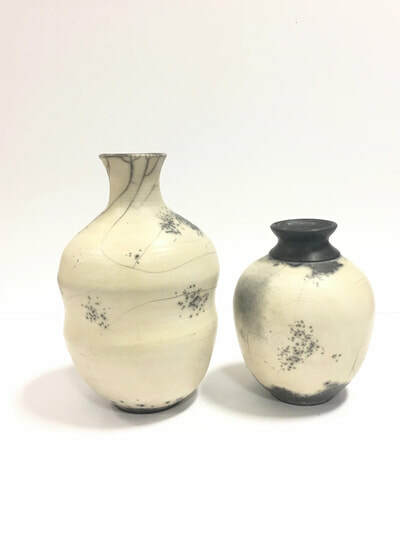 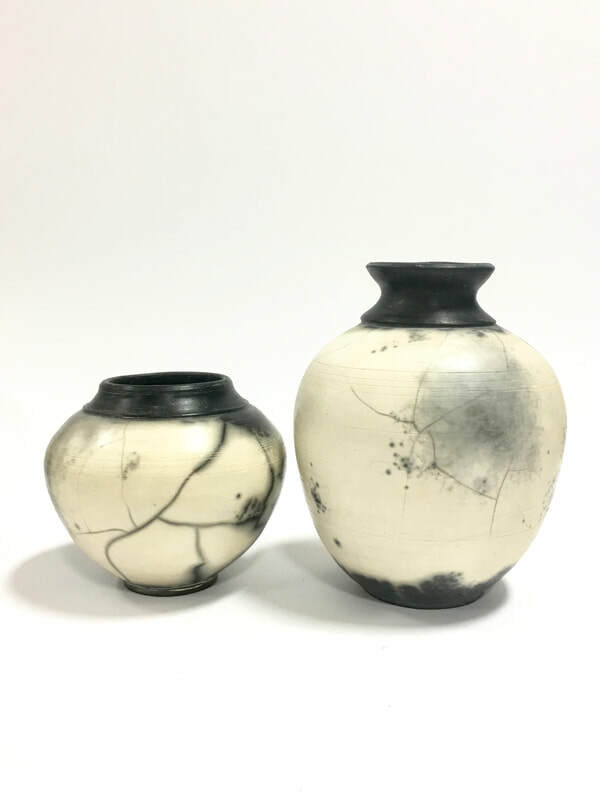 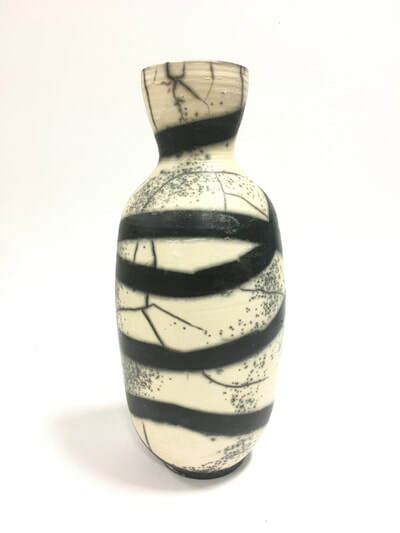 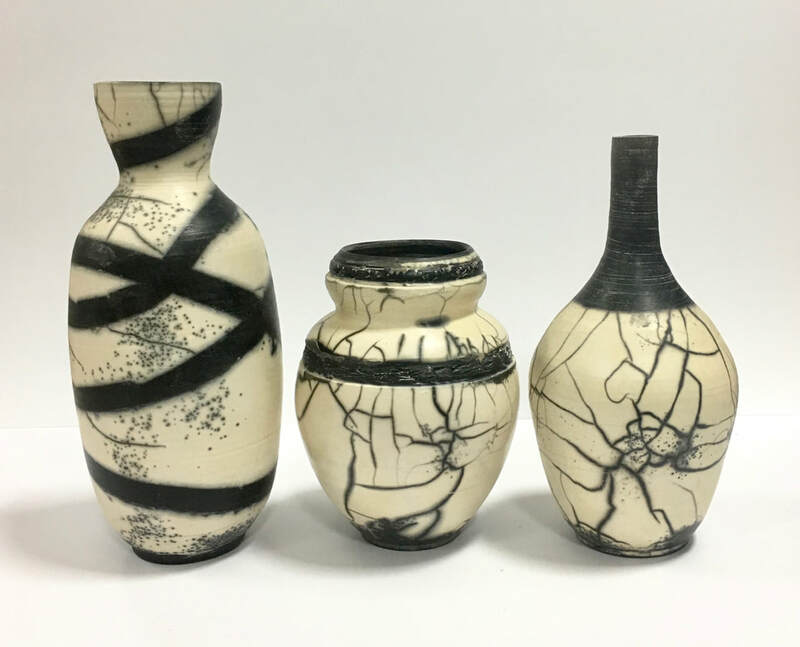 Naked Raku is an alternative firing method where you spray each piece with a resist and then a glaze before firing off in a kiln. 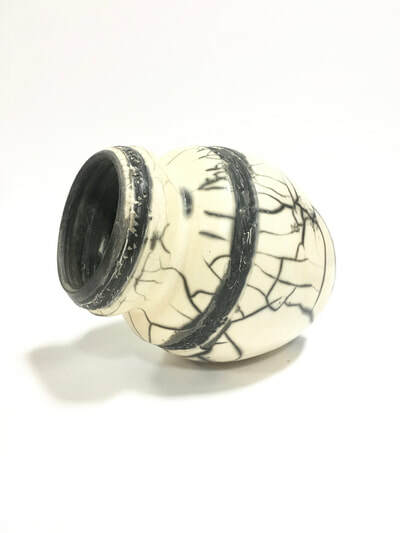 Once reaching temperature at about 1500 degrees fahrenheit, the piece is quickly removed into an area surrounded by combustibles such as wood chips. 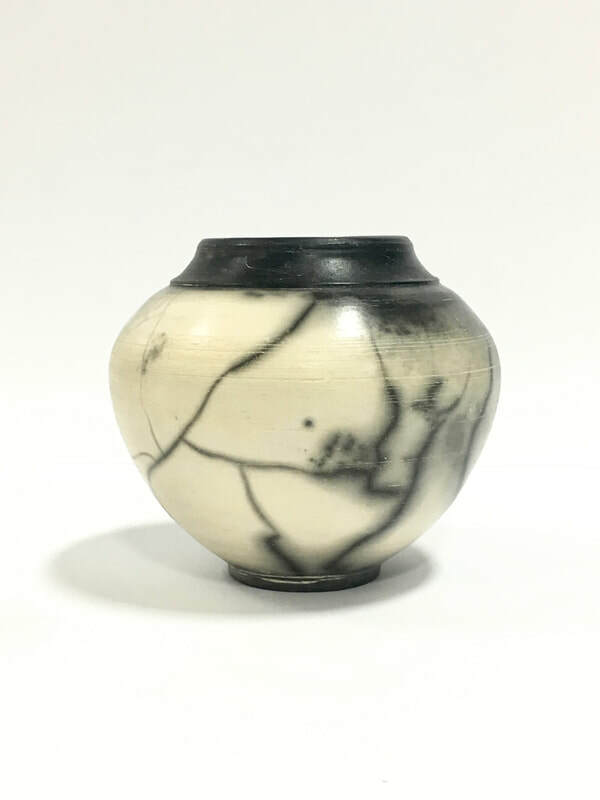 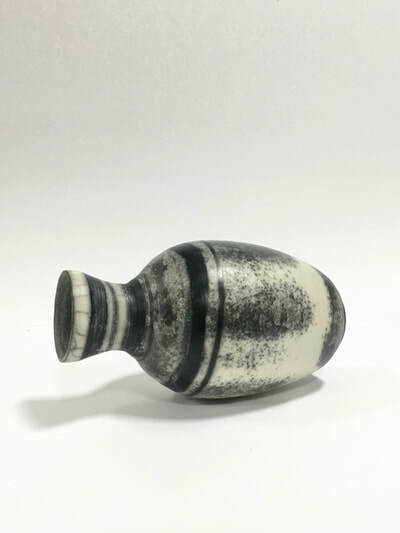 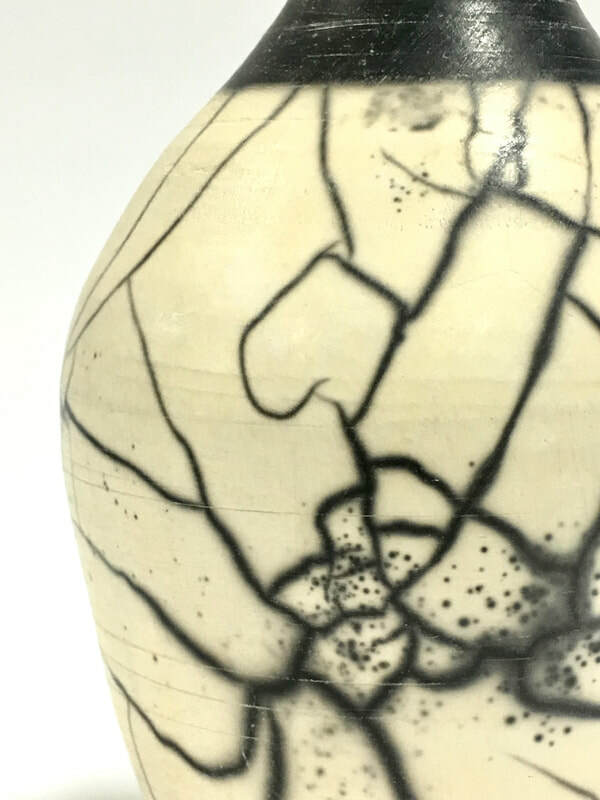 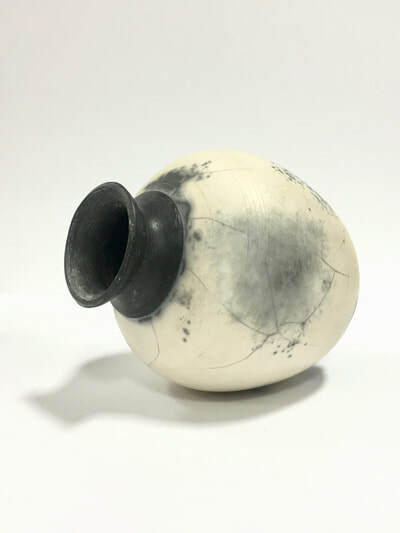 The glaze cracks, due to the shock in temperature, and the smoke smothers the piece, soaking into all non-glazed areas and cracks in the glaze, for about five minutes before being sprayed down. The shock of the water causes the glaze to pop off of the pot, revealing the original naked surface underneath, now decorated by smoke. Finally, each piece gets a scraping and a scrub down before being polished with a wax or varnish finish. 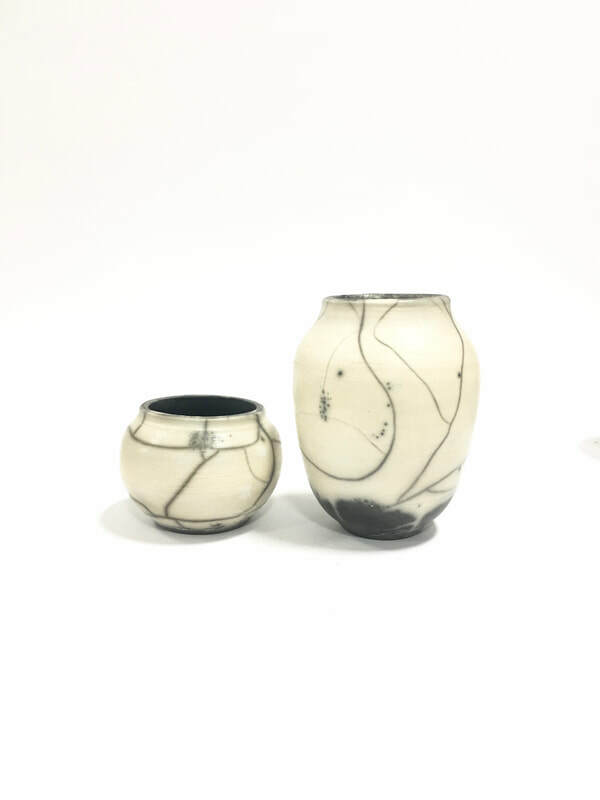 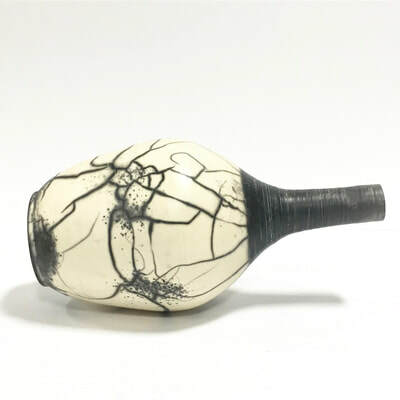 These pieces are strictly decorative, fragile and can sometimes incur cracks within the clay body from the various extreme conditions it is forced to endure along this magical and mesmerizing process!